Brown Brown: 77 777 Miles! My Honda jet marked 77,777 miles at 4:35PM on November 26, 2008. 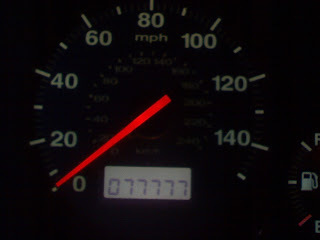 I love capturing the odometer readings of my car but I often miss the interesting ones unless I remind myself to check! I caught this one though.